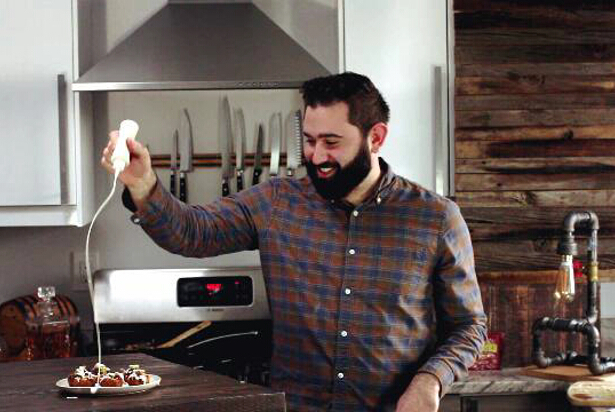 We are all looking for some easy hearty apps to munch on this weekend, and this recipe is just that. 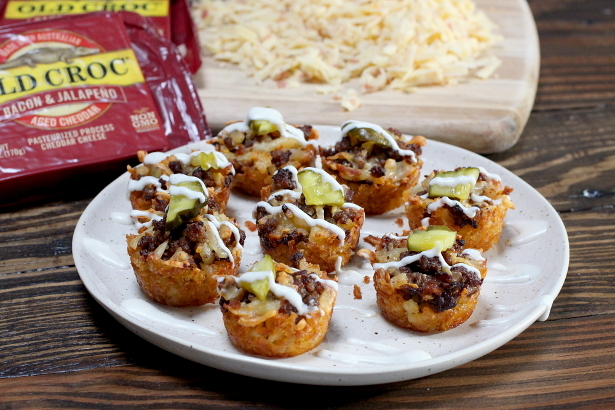 It has all the flavors of a tasty cheeseburger, without the work of making a bunch of little sliders, and it has crunchy tots as the crust! 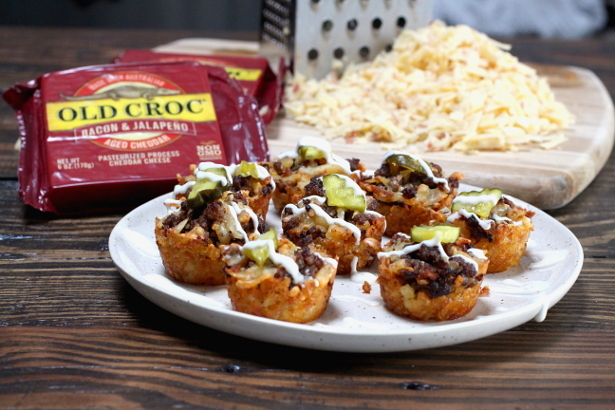 The Old Croc Cheese is flavored with real bacon and jalapeno, and gives these a much needed flavor boost and kick of heat. Make a big tray the next time you have people over and you won't be disappointed! 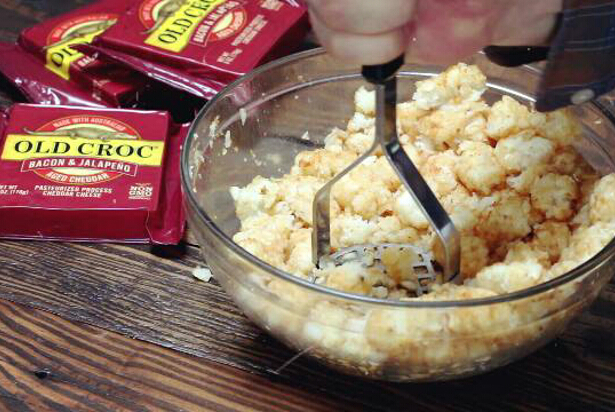 Shred the cheese and try not to eat it all at this point. Mash up the tots and stir them around until they are fully broken up. 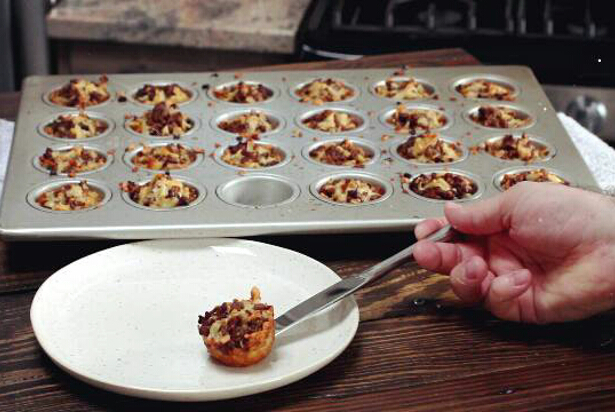 Add about 2 tablespoons to each mini muffin cup depending on the size of your tray. 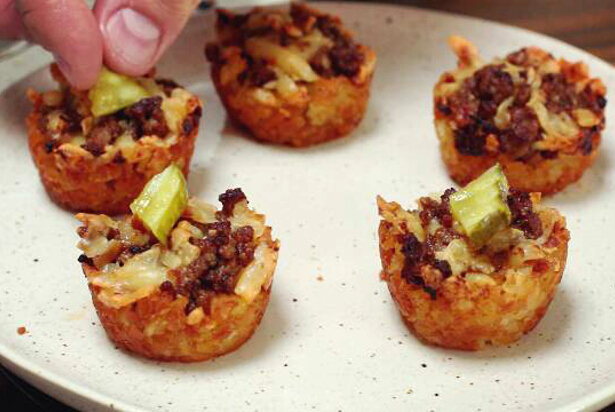 After they bake the first time, fill them with the beef and cheese mixture and bake them again. 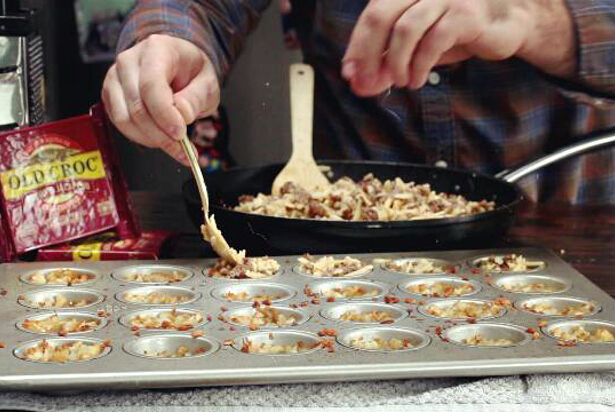 Pop them out of the muffin tin and onto a plate. Top with pickles. And ranch! Use whatever toppings you like on burgers. So tasty! Easy to pop several of these without noticing. They have all the flavors I am looking for in a game day snack! Remove from oven and allow to cool for 5 minutes. 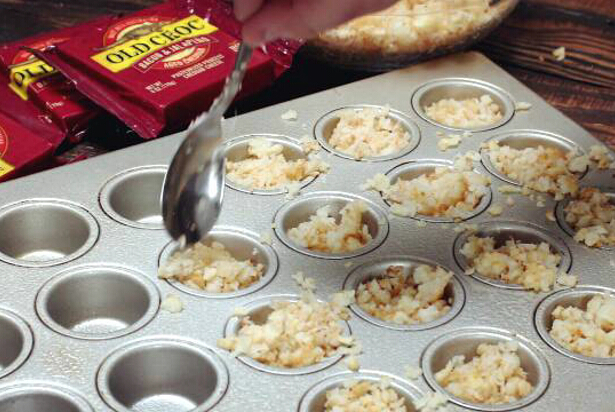 Use a butter knife to remove each tot cup from the tray by first running the knife around the cup to be sure it isnt stuck anywhere, then using it to get under the cup and pop it out. These look like scrumptious little gamechangers. See what I did there? Lol. Now I am hungry!!!! Yum!